I grew up Freeport with the Higgins family. Bobby Higgins and are met as young boys and where close friends all of my life and almost 50 years later we still remain close. Timmy Higgins, was one of Bobby’s older brother and was like the big brother I never had. We all looked up to him because he was kind, funny and even at a young age very protective of his family and friends. He always took the time to talk to you and help you out if you were struggling with a bike flat tire or just to shoot the breeze telling jokes and funny stories. Fourteen years later there is still an opened wound for all of those same friends and family members. A very shocking and sad day we will never forget and I will always feel that sense of pride for Timothy Higgins and his whole family for his ultimate unselfish deed of giving his life in protecting and saving his fellow men and women. 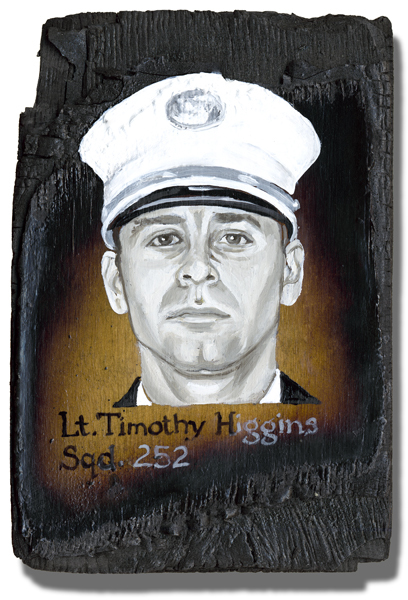 LT Timothy Higgins Sqd 252 A True American Hero.